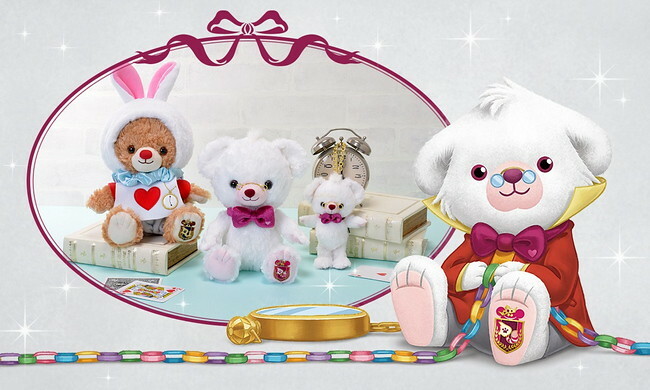 This year so far has been a bright for the Wonderland Unibearsity line due to its revisions of three bears as well as the introduction of two brand new bears. With the current release of the White Rabbit’s bear, now seems like a good time to take a look at the big picture of the Unibears in Wonderland. 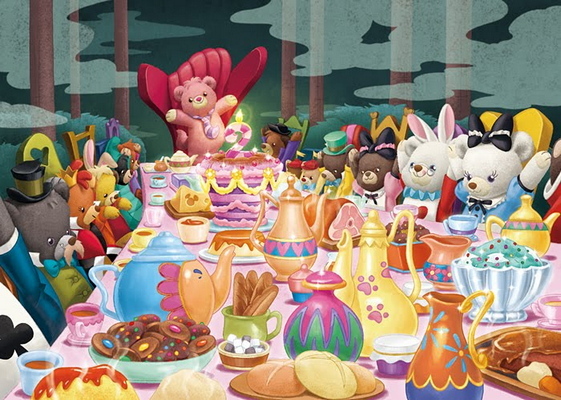 Alice in Wonderland was one of the first themes released for the Unibearsity line. 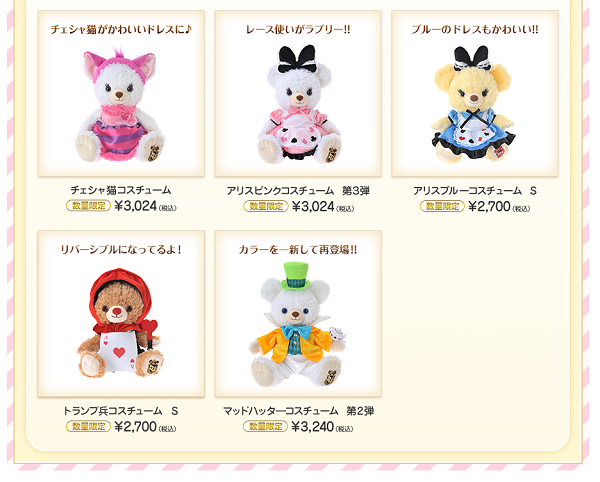 While the Mad Hatter and the Young Oyster bears have sold out due to limited quantities, Alice’s bear (Chou) and Cheshire Cat’s bear (Souffle) continue to be a hot seller in Disney stores. 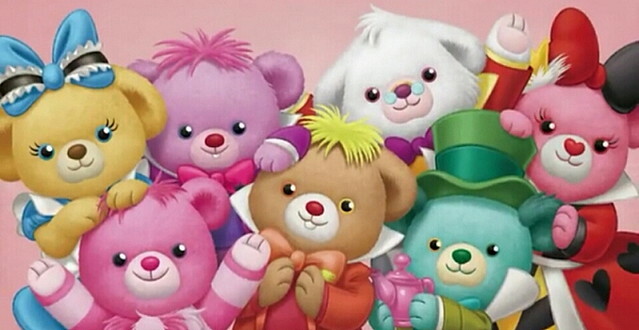 All the Wonderland Unibears, like all the bears, sport the Unibearsity emblem on their left paw. 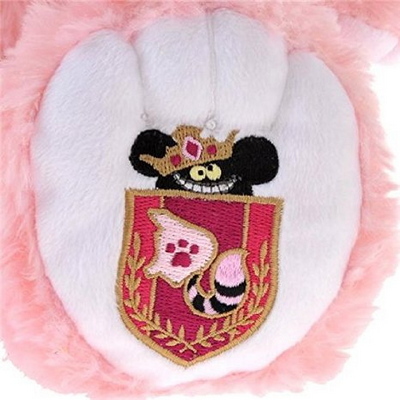 Unlike the main emblem, the initials “DU” are fashioned after the style of the Cheshire Cat. 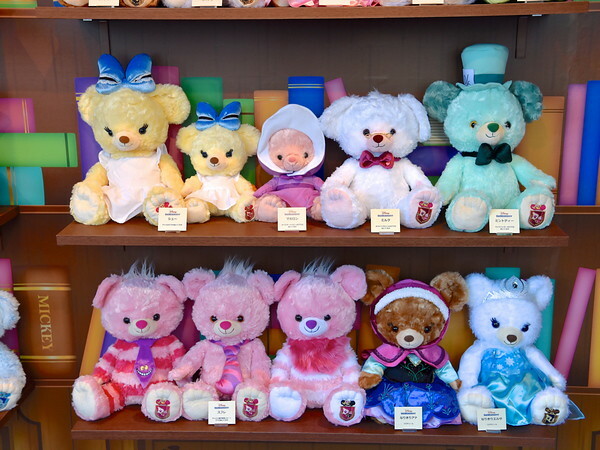 Costume sets tend to be released along with the bears to ensure that you get the complete setup. 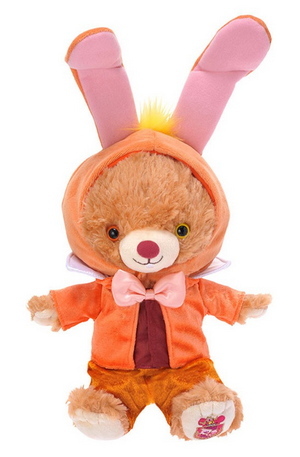 This also allows you to dress non-Wonderland bears in a cosplay fashion should you wish to do so. 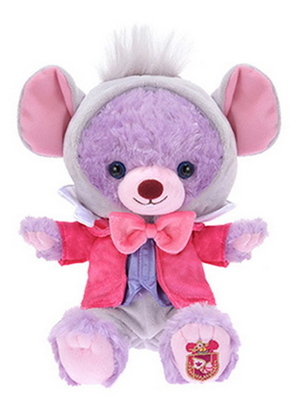 In line with Unibearsity’s 5th Anniversary came the newest addition to the Wonderland group: The Door Mouse. Following the Mad Tea Party theme lead to the release of the March Hare. And in a timely manner is the return [renewal] of the White Rabbit’s bear, Milk. 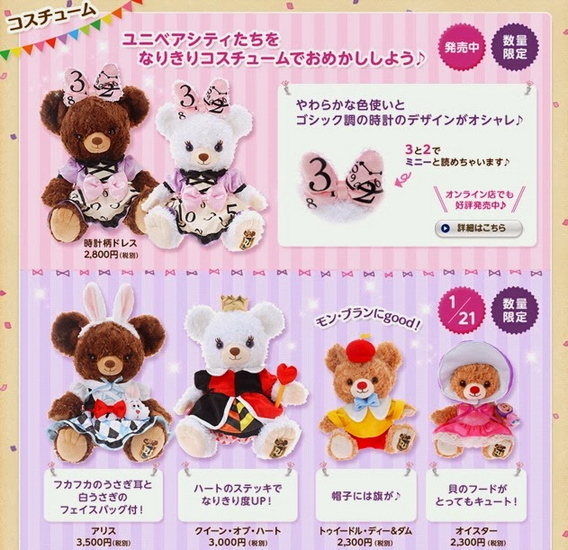 Milk, promoted as “the kind bear”. 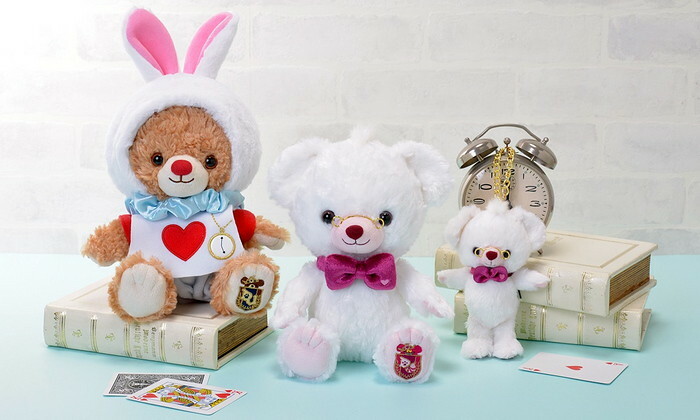 Pictured left is Dale’s bear (Blan) outfitted as the White Rabbit alongside the Unibear itself. Hanging on the clock is the keychain version. If we are to follow the illustrated image accordingly, it’s only a matter of time before the arrival of her Majesty, the Queen of Hearts. It is certainly a time to celebrate.